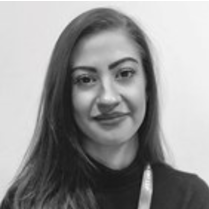 Sophie joined the Solent LEP in 2018 after working with the Solent Growth Hub for the last 3 years as a business support navigator assisting businesses in the region with their growth plans. Sophie started her career at the Hampshire Chamber of Commerce where she completed her Level 2 & 3 Apprenticeship in Business Administration. Throughout Sophie’s career to date, she has gained a diverse insight into business support, administration and marketing and is passionate about helping to drive the local economy forward through supporting local business growth. Sophie was recognised in The Evening News Apprentice of the Year awards in 2014 for her commitment and academic achievements.